Ingredients: Green tea, cinnamon, clove, ginger, natural apple flavoring, lemongrass. 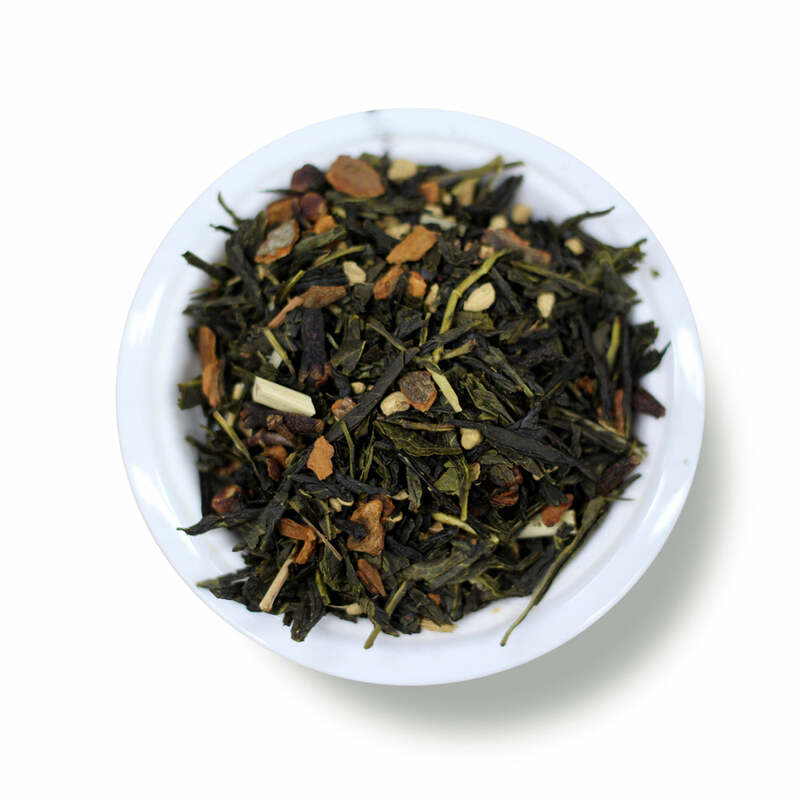 Sweet cinnamon and light notes of apple make this the perfect green tea for Fall. 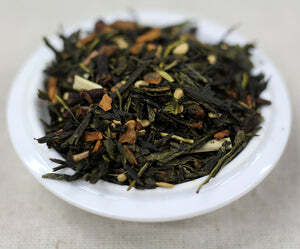 To start there's a slight tang of tart apple with a clove aroma.The spice of cinnamon and ginger are very well balanced, and don't overpower the green tea. This tea has an almost savory finish. You can enjoy several resteeps of this tea. Mug (8oz water): 1.5 level tsp • 170º • Steep for 3 min. Teapot (8oz water): 2.5 level tsp • 170º • Steep for 2 min.